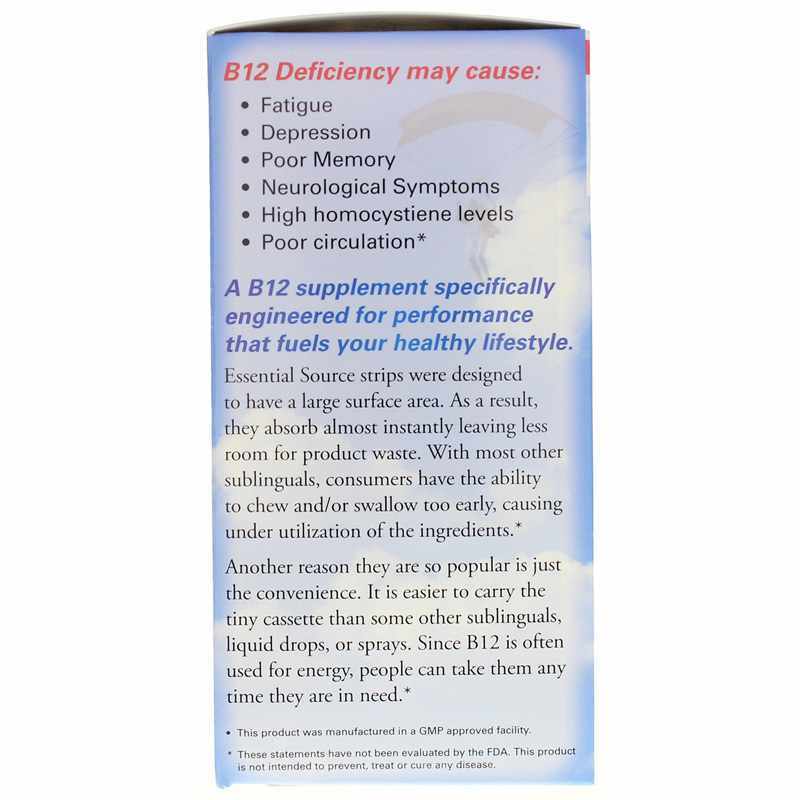 B12 Strips Advanced Delivery System from Essential Source makes taking B12 easier than ever. 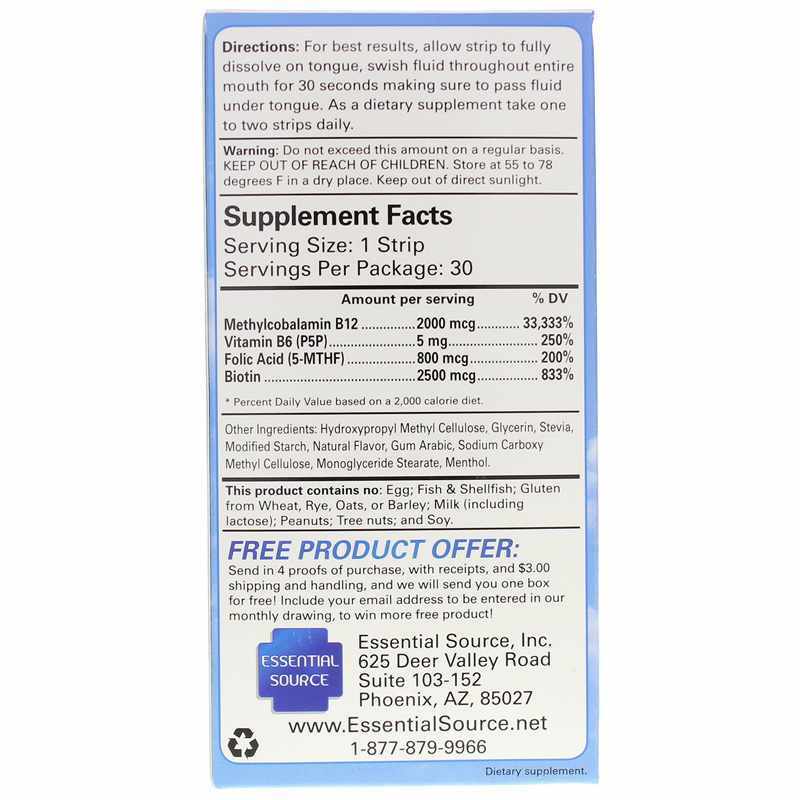 Each fast-dissolving strip contains 2,000mcg of B12 as methylcobalamin. Contains NO: egg, fish, shellfish, gluten from wheat, rye, oats or barley, milk (including lactose), peanuts, tree nuts and soy. Adults: As a dietary supplement, take one to two strips daily. Do not exceed this amount on a regular basis. For best results, allow strip to fully dissolve on tongue, swish fluid through entire mouth for 30 seconds make sure to pass fluid under tongue. B12 is a very important vitamin with serious consequences if you have low levels. These patches are a very helpful way for the body to absorb it. These B12 strips help me. 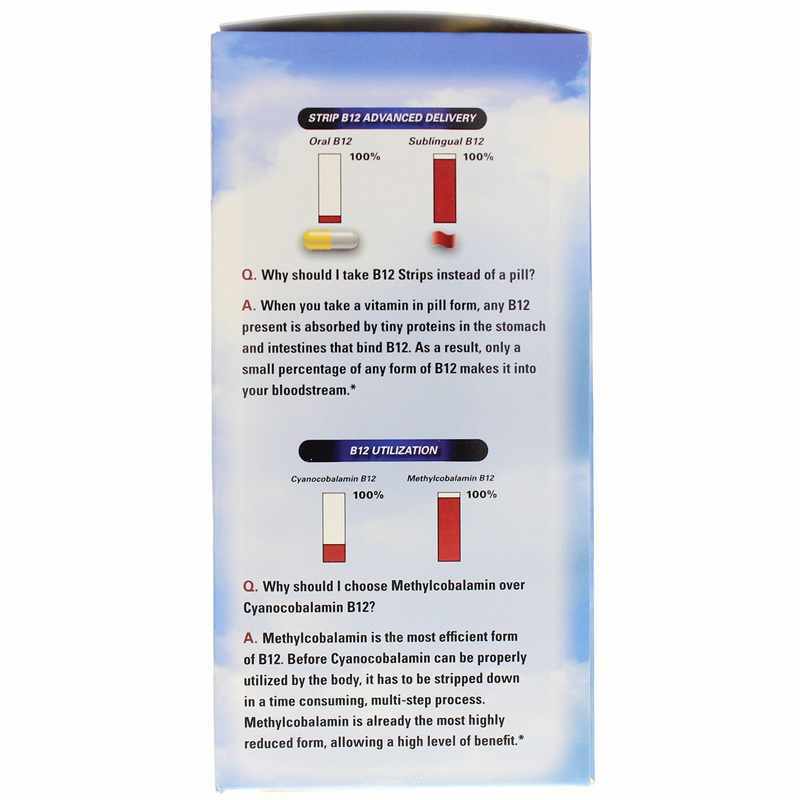 I agree with all the other reviews B12 Strips 2000 mcg Advanced Delivery System is a great product. 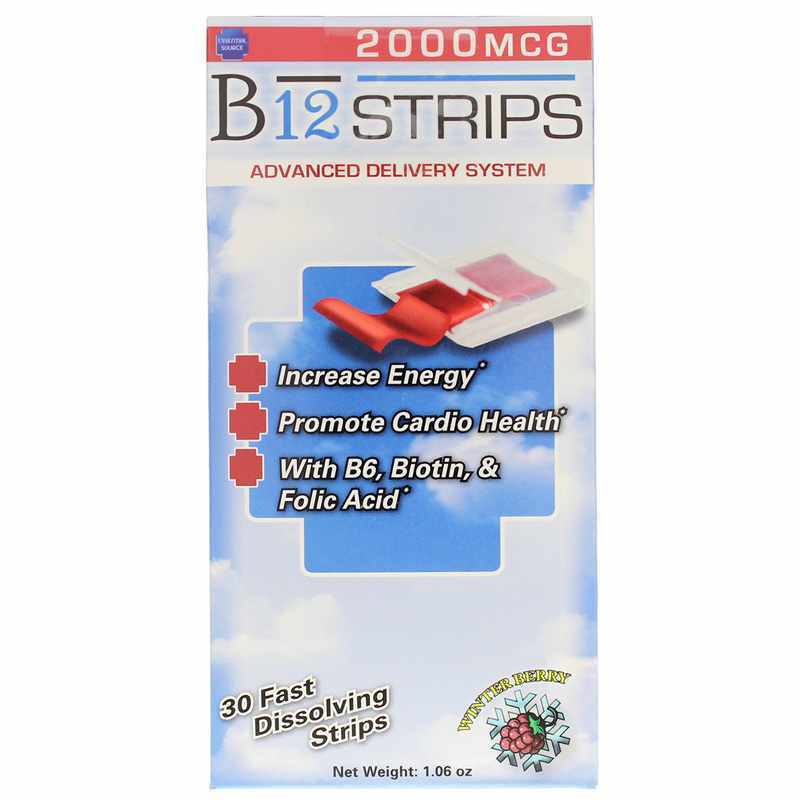 B12 Strips 2000 mcg Advanced Delivery System helps and gives an all day lasting effect. I like that this B12 comes in a strip form, if only everything could come in this form! My experience with Natural Concepts. This is a five star company. Great ordering process, excellent delivery (earlier than expected) and good customer service. The product Vitamin B12 strips works great for me. One strip under my tongue and I feel energized for at least another four hours. I will definitely order again. Believe this was my second or third order for this product. I couldn't tell much of a difference. However, I gave them as a gift to my aunt and she really loved them. I was very disappointed.It didn't work for me at all.My husband even tried them and they only worked for him for about 30 minutes. Product delivers energy without a buzz and tastes pleasant. Only drawback is that it turns my teeth red as it's dissolving. Have to rinse with water.